This is my most recent update, and I hope sharing it will help people in management who are struggling with putting their company on the right path and making sure their employees are getting the recognition and reward they deserve for their efforts. On September 17, 2008, I started my first e-commerce business called Extreme-Seo.net. Since inception, we’ve acquired more than 14,000 international customers and over 120 local Sri Lankan customers. We’ve also delivered over 28,000 link building project reports in the last five years. [dropcap] F [/dropcap] rom May, 2012 to July 2013, I faced so many challenges in my business as well as my personal life, but I believed every problem had a solution. I knew it all depended on my mindset and strategy. If you’re an entrepreneur, then you know that’s the attitude you have to have. However, if you’re a well-educated businessperson who follows strategies you get from a book, then unexpected problems are going to be harder than ever to solve. You have to find something within yourself to solve these problems, and it doesn’t come from any book. In the past two years, I have won several Sri Lankan and international awards such as “Young Entrepreneur of the Year” and “Emerging Entrepreneur of the Year”. I took all my past problems as opportunities to overcome them and learn something about myself in the process. I did overcome all my obstacles. I even achieved my 2013 goal before the 5th year anniversary of Extreme-Seo.net. I had a tough situation to deal with at first, but I had a meeting with all my staff members, and I shared all the facts with them without hiding anything. A lot of people in management positions miss this very important stage. Every business will go through tough times. There is obviously some information which you can’t share with your staff members or stakeholders publicly, but as the captain of your ship, you have to share information sometimes, or the whole crew will sink with the boat. Be Transparent with your Staff Members: Explain the problems you’re having with your staff members because these people are in a position to help offer you advice and give you feedback as to what to do in a crisis situation. They are intimately familiar with your organization. You have to be transparent with your crew because they are the ones who are maintaining the ship that you’re captaining. If they aren’t aware of a problem, then you could all sink.You might have to eventually eliminate staff members who are unnecessary to your organization to cut down on expenses. If you do so, make sure you offer a stunning recommendation letter for the staff member so that they can get a position at another company instantly. Keep giving positive updates to your stakeholders during this time so you don’t lose any funding. 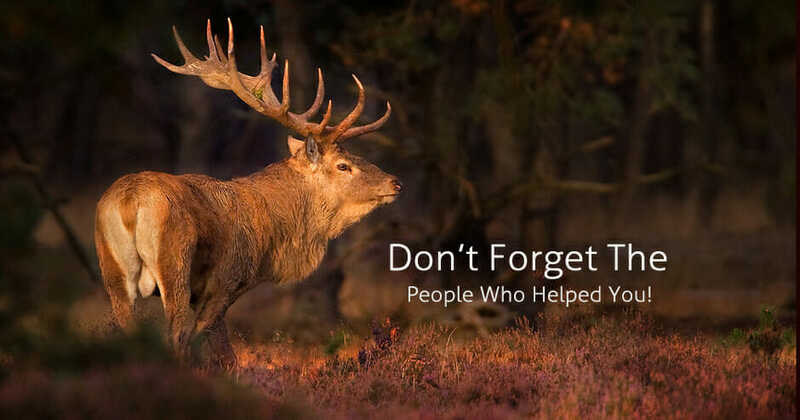 Don’t forget to Reward the People Who Helped you: If any of your staff members or stakeholders helped you reach your goal, just make sure that you don’t forget them. Reward them according to their contribution. Make sure you give them plenty of reward for what they’ve contributed. Inevitably, some staff members are going to jump out of the ship in the middle of the sea and swim to another destination to secure their career. That is part of the process. You have to learn to accept it. However, there are some staff members who carried a lot more passion than those swam out. They told you they would stick by you, and they did. With those staff members’ support, they finally reached their destination, and at top speed, and they’re all smiling now. It’s critical you give a reward to the people who stuck by you with promotions, insurance, pay raises, etc. With the support of the people who stuck by you, your company succeeded, so these people need to be recognized for that. Employees: If you are an employee, and you are thinking about leaving for another company, don’t do it. If you are confident with your skills, then suggest some new ideas to management to make and deploy new products and services to show off your contribution. Employers: If you are an employer, and you find yourself in a situation, look it as a challenge and come up with a risk mitigation strategy. Don’t let your business go down fast. Believe in your business, and never let it sink. Nice,helping people is very nice job ! thanks Sharanyan Sharma for reminding us.